We appreciate your feedback about your support experience with SkyVerge, developers of Twilio SMS Notifications. This helps us maintain high standards on the WooMarketplace, and helps SkyVerge improve. An account with Twilio is required. This extension is designed to work with Twilio, the premier cloud communications service, with support for over 40 countries. You’ll need to sign up for a free Twilio account if you don’t already have one. Outbound SMS messages start at just 1 cent in the US. Text messages get read more than any other form of communication. Ensure that customers receive information they want by offering text message order updates. Customers can opt-in to SMS updates by checking a box during checkout. Once they opt-in, they’ll receive an SMS message when their order status changes. 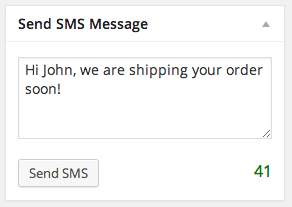 You can even send messages for your custom order statuses created with Order Status Manager! For example, let customers know when an order has been updated to your custom “shipped” status, and you can even customize the text used for your custom statuses. You can change which order status changes will send updates to customers and customize SMS messages to include store name, order ID, order amount, order status, and other order data along with your custom text. You also have the option to automatically shorten URLs within messages using Google’s URL shortener. You can easily test what customers will see when they receive a message from you right from your Twilio settings page. 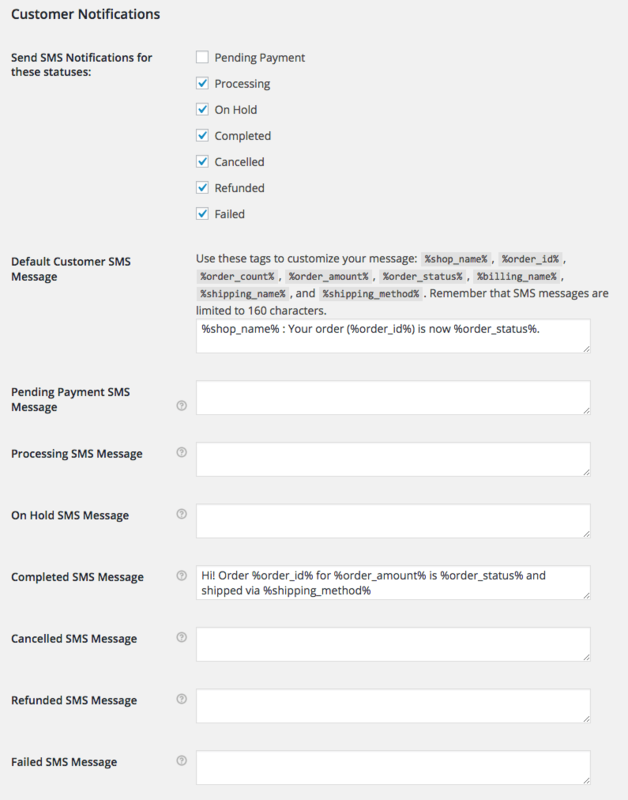 Send SMS updates to your customers directly from the Edit Order screen. A handy character count is shown so you don’t go over the 160 character limit for SMS messages. 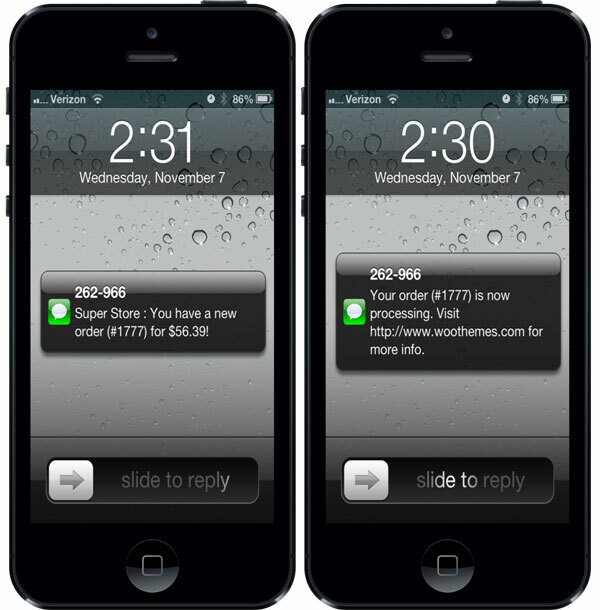 Customers don’t need to have opted-in to SMS updates for you to send them an SMS. 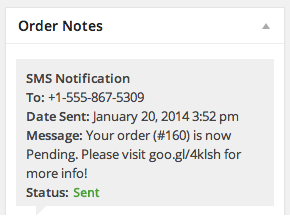 See the status of every SMS sent to a customer by viewing the Order Notes for their order. See the message that was sent and the status. Any errors will appear here to help with troubleshooting. To find if Twilio works in your country and to get additional pricing information please visit the Twilio SMS Pricing page. That’s it! Sit back and enjoy automatic SMS updates! Read the full documentation to learn how to customize SMS messages, change order status triggers, setup new order notifications, and more!